Jimmy Mesta started off building websites as a hobby in high school and his passion for technology quickly evolved into to pursuing a degree in IST at Penn State. Always up for a new challenge, he decided to major in Security and Risk Analysis when the major was first introduced. During his college career, Jimmy was an executive board member of the SRA Club, a member of the Future Forum Committee and a contributor to the Magazine of IST. Following graduation, Jimmy accepted a job offer, following a summer internship the previous year, with Agilent Technologies in Colorado Springs, Colorado. Mesta then spent the next two years working in network and application security. 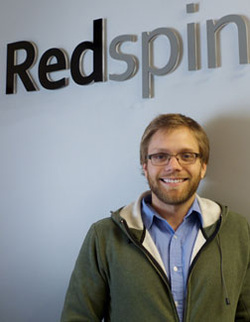 Mesta then decided to take a more focused approach on web application security testing and moved his way west to Santa Barbara, California where he now works for a small security auditing and penetration testing company called Redspin. Jimmy is now a senior security engineer and performs technical vulnerability assessments on web applications for banks, hospitals, and Fortune 500 organizations. When he's not off hacking web applications or writing code, Jimmy can be found mountain biking, surfing, swimming, rock climbing, and drinking coffee. Mesta is a 2009 graduate of the College of Information Sciences and Technology at Penn State with a degree in Security and Risk Analysis. Mesta will present on Thursday, March 21 from 4:15 p.m. - 5:30 p.m. in room 113 IST Building.